Fantasy Stampers we have PS. I Love You, it will soonbe Valentine's Day, so it's time to feel the romance. The Design Team have some fabulous inspiration for you. If your interested also check out the details for the DESIGN TEAM CALL at FANTASY STAMPERS, if you can stamp we would love to hear from you. For my project, I have used a LOTV stamp called Anniversary Surprise, I used papers from a LOTV pad Timeless Victorian, The sentiment is from LOTV, the bunch of letters is from The Stampman, I added cut out butterflies from stash, small wooden hearts, a piece of lace and a doiley, A twisted paper rose and die cut flowers and leaves to embellish. All coloured with Promarkers, I look forward to visiting you, have fun with your touch of love and romance. For the next week at My Time to Craft we have a lovely challenge for you - Bugs and Insects. Please pop over to the challenge blog to be inspired by the creations from the Design Team. For my project I have made a small 13cm square card with scalloped edges. Papers are from LOTV paper pad - Timeless Victorian, with a piece of purple Co-ordinations card. I stamped the butterflies onto pieces of the same paper. The butterflies are from Lyndsay Mason - Personal Impressions Tattered Butterflies which from my large collection of butterfly stamps are always my favourites. An addition of a few die cut flowers. I love the sentiment which I believe to be from Little Claire. Have fun playing with your BUGS AND INSECTS. I am so happy and releived to be back to my crafting. Due to being very poorly I haven't been around for almost three weeks. It is so good to be back. I have sent my apologies to all of the Design Teams I belong to, I have so missed being part of the challenges, but I am back. Yippee.! there is a lovely video of Melissa Banbury for a faux leather technique. Thank you so much for this Melissa I am pleased with my first attempt but I now can see where I can improve, which I will be trying the next time, for I greatly enjoyed the technique. I used these stamps - Fir Trees and the flying owl - Sheena Douglass and tress from Elusive Images. I hope you will have a try either with a faux technique there are so many available, or your project could be of dressing up as long as it is MASCULINE , we will be thrilled to see it. On 15th of January, a new challenge for Sparkles Monthly Challenges started, chosen by Brenda it is Raise a Glass to celebrate the beginning of the New Year. Sadly I have been ill from early January, though I had made the above card but was unable to add it to my blog before the required date. so here is a midway reminder of the challenge. Please do pop over to the blog, you can use any liquid refreshment to welcome your new year, as you will find in the instructions. 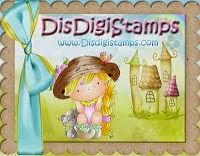 For my card, I used a Janet Kruskamp CD from Joanna Sheene, I used glittered card to mat the images onto. I've never expeienced a Cosmopolitan, looks so yummy, I added glitter around the rim of the glass for frosting. I hope you have all had a good start to tne new year. Have fun. We are so pleased to have some new sponsors joining us for 20 15, our thanks to them. CraftyBren with a £10 voucher. Good luck everyone, I raise my glass to all of our followers and visitors to my blog. Happy Birthday, yes it's our birthday. ONE year old today, how the time has flown. To celebrate we would like you to join us with the easy challenge of HAPPY BIRTHDAY, we do ask of course being for Cardz 4 Guyz your card or project is only for the Guyz in your lives. I decided on going literally for a first birtahday for a sweet little boy from LOTV - the stamp is called - Little Ducky. Papers are from Papercraft Factory by Funky Hands. The image was coloured with Promarakers. I would love for you to pop over to appreciate the wonderful inspiration by the Design Team and to even join in our birthday celebration. For the next week at My Time To Craft (MTTC) our challenge is Stripes. I have lots of colours of stripes lying about in my stash which would have made striped cards, but I am so pleased not to be making Christmas cards all the time, I wanted to create something pretty and fresh. I had just completed a card using these papers and thought cutting them into strips would help to use up the small left over pieces. I added a die flourish and two butterflies from Marianne dies. The papers are from LOTV Petal Fresh paper pad. Happy New Year from Alphabet Challenge - here we are at letter X - Design Team member Jennifer has thought of a good one for you to play with --- X-periment. The idea being for you to have a go at a technique, design, something you haven't done before. Have a good play session. For my DT project I have remained fairly simple. Using various blue tones in the Rangers DI range I direct stamped onto a square card. This in itself makes you take a deep breath hoping all goes well. I used hedgerow plants from Stamps Away. I have used the technique referred to as Shadow Stamping. Using one of the same stamps used on the main card, I stamped using Versamark onto a prepared die cut mat, added white detail Embossing powder, heat embossed and cooled the image. Using the same cleaned stamp, I used Chipped Sapphire DI for the shadow, you hover over the white image and move slightly to the right and a touch up, when happy, slowly lower the block and stamp. With good luck and management you should have a perfect shadow stamped. Why don't you give it a try? I look forward to see what you have X-perimented with. Hi, wishing you a happy new year. We at Ruby's Rainbow were wondering, What Did Santa Bring You? We are hoping you were lucky to have something crafty you can share with us in our challenge. If like many of us, you bought something with a gift of money, then please share with us. Please check out the Design Team, we have been a very lucky group for the gifts we received. For my project for the challenge, I fancied starting the new year off with a different shaped card. The papers are from LOTV - Petal Fresh Pad. The flowers from a die, the leaves were stamped, A few card candi added to embellish. My Santa presents were a set of round dies and a few Little Claire Dinky stamps, one being the flowerpot image on the card, coloured with some Promarkers, some being from a new set from Santa. We look forward to seeing your projects using your new presents from Santa. Have fun. Welcome back. Wishing you a very happy new year and hope all is well with you. Thank you for visiting me, I do appreciate you took the time. We have returned from our break at Cardz 4 Guyz, and a ready for an interesting time ahead. We are kicking off the new year with Jan's choice of VINTAGE. You can do anything you like as long as it can be classed a vintage style for a MALE. Please check out the blog the Design Team and Guest Designer have provided some amazing and wonderful inspiration for you, mostly involving stamping, so I thought for an alternative form of card making, I would use a CD, for there are many who do participate in this craft. I have used from Kraftyhands - Man About Town. I used a scalloped Kraft card, the large background is a sheet from Father Knows Best from LOTV. Please take a peek, I'm sure you will love the inspiration on the blog. Thanks again for your visit. I hope to see you when I start visiting the entries. Fantasy Stampers are ONE year old today, I wish you a very Happy Birthday. To help us to celebrate our challenge is as simple as making a birthday project. The Design Team have again created a wonderful display, please pop over to see them. For my birthday card, I started with a bought scalloped Kraft card, I used LOTV Pressed In Time backing papers, The image is again LOTV Annebel . I stamped the Honey Doo flowers onto pink papers from the same pad. I added two doileys, some leaves, pearls and a greeting from Go Kreate. Have fun everyone. My Time To Craft (MTTC) so what better than for our theme - 'All Things New' - so much to choose from, as long as your project is related to the word New, we want to see it entered into our challenge. Please do look at the challenge blog to see the fabulous creations from the Design Team. For my projecat, again a card, I have opted to say Happy New Year. The background paper is from a Papermania Christmas pad. The wreath was decoupaged using a Woodware floral wreath stamp, which I coloured with Promarkers. The greeting is a stamp from Go Kreate Die and Stamps set. Have fun everyone. Christmas may be over for another year but at Sparkles Christmas Challenges you will find on the FIRST of each month we will be setting you a Christmas challenge. Why don't you pop over to the challenge blog to see what we are about, sign up as a follower, get ahead for next Christmas, and check out the creations of the Design Team for our first 2015 venture. For our first month's challenge, the title is - A Christmas Critter with a Splash of Glitter. For my card, I used papers from a Papermania pad 12 days of Christmas. The Robin is a stamp from Katy Sue Designs - Tall Tails - coloured with Promarkers, edged with Distress inks. The greeting is from a Die-cut. Card Candi and lots of sprinkling of Glamour Dust. Good luck to you all and above all, have fun. Sending my warmest wishes to all of my friends and followers for a very happy, healthy and even maybe a little more prosperity for you all during the new year of 2015.